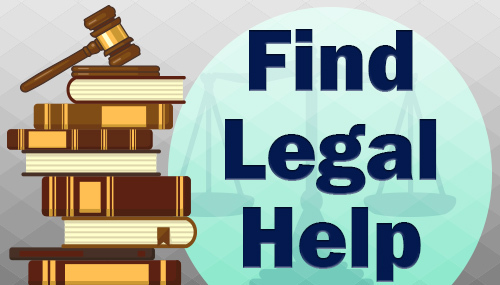 The Legal Education & Assistance Program (LEAP) is designed to help you find information about your legal issue- as well as resources, services, and attorneys in your area. "Lawyers in Libraries" events can be found by clicking on your parish below. You can also find help by using the the Find Legal Help Portal. If you cannot afford representation, legal aid organizations or pro bono attorneys may be able to represent you depending on your legal issue. However, financial eligibility requirements apply, and attorneys are not always available. You will not receive special treatment in the courtroom because you don’t have an attorney, but some courts may have services available to help you beforehand. Click on your parish below to find services in your area. LA.FreeLegalAnswers.org is a website that allows you to ask legal questions online, and volunteer attorneys will respond. Plase note that financial eligibility requirement apply, and the site is for civil (non-criminal) legal issues only. For additonal legal information, visit LouisianaLawHelp.org at https://louisianalawhelp.org/. LEAP is a partnership of the LSBA, LSU Law Library, Law Libray of Louisiana, Louisiana Library Association, Southeast Louisiana Legal Services, State Library of Louisiana, and individual public libraries across the state. The LSBA 2019 "Lawyers in Libraries" week of service is scheduled for October 21-26. During this week, Louisiana attorneys will provide free services to the public at local libraries statewide. Some attorneys will provide "Ask-a-Lawyer" 15-minute individual consultations, and others will lead classroom presentations on individual legal topics such as divorce or estate planning. Click on your parish below to find services in your area.